Now you can force a number in a fool-proof way! The magician hands a spectator a normal die numbered one through six. The magician takes the die and throws it into an opaque cup. The spectator is asked to cover the mouth of the cup and shake or rattle the die inside. They are then asked to call aloud whatever number comes up. Diamond Dice allows the number chosen to be predetermined, so these dice make forcing a number easy. The die is not loaded or weighted. 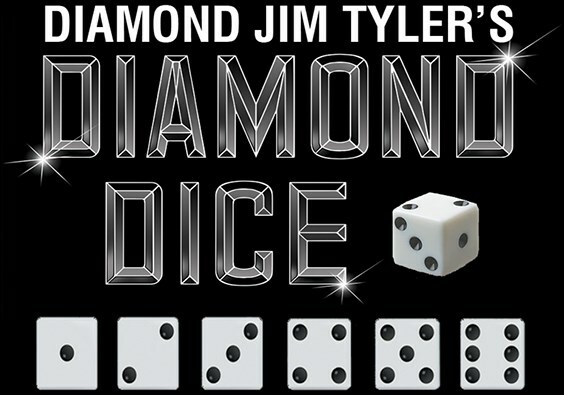 Diamond Dice is a set of 6 specially numbered dice and one normal die for switching out. If you need a specific number chosen, then this is the way to go. Never before has a full set of these dice been on the market. 1. Vanishing Inc. Magic responds: They are standard 19mm dice. Preston asks: Do u roll the dice on a table or those the dice stay in the cup? 1. Vanishing Inc. Magic responds: You can do either, depending on your routine.